Join Parthian Books, Literature Wales and Wales Arts Review for an afternoon of discussion, information sharing and readings, in celebration of last year’s collaborative project The Valley, the City, the Village, which formed part of British Council Wales’ & Wales Arts International’s India-Wales initiative. BOOKING ESSENTIAL: One-to-one sessions with Richard Lewis Davies (Parthian) and Elena Schmitz (Literature Wales) for writers who want to find out more about working with a publisher or about funding and opportunities available for writers from Literature Wales. Maximum of 8 spaces available; booking on strictly first-come, first-served basis. Book here (https://www.eventbrite.com/e/india-wales-a-feast-of-words-one-to-ones-tickets-49428727655?err=29) to reserve a place, indicating who you’d like to meet with. India Wales is a joint initiative between Wales Arts International and the British Council that supports artistic collaboration and exchange between creative professionals and arts organisations in Wales and India. India Wales supports the broader UK India Year of Culture 2017 but also extends beyond. 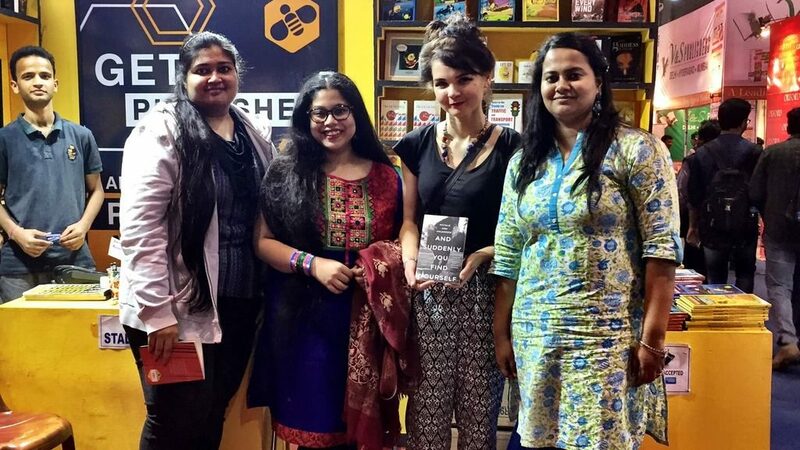 In 2017, publishers Parthian Books (Wales) and Bee Books (India), together with Literature Wales and Wales Arts Review, have collaborated on The Valley, The City, The Village, a project in which six writers from Wales and India explored each other’s countries and used these experiences to provoke and inspire new writing. Each group of writers has toured the other nation, and the project has already seen a new Welsh book launched at the Kolkata Book Fair in India and group appearances at Hay and Llansteffan Festivals, as well as a residency at Ty Newydd in North Wales, among many other public events spanning across Wales. A special (and first print) edition of Wales Arts Review was published following the Welsh writers’ tour of India in spring 2017.